●﻿ ﻿A higher Yield Strength, with good weld-ability. ●﻿ ﻿Easy for mechanical property and the Low Temperature Enduring Assault Performance better that generally tubes . ●﻿ ﻿The internal precise ground and the external hard chrome plated after precise grinding, that tolerance meet with international standards. 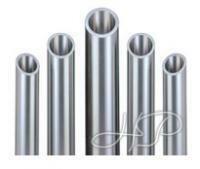 Chrome Hollow Bar﻿ Size List: all dimensions are by metric.